EUROMED St. John’s Wort extract is a standardized herbal extract of Hypericum perforatum L. herb, a leafy plant native to all of Europe, West Asia, the Canary Islands and North Africa. St. John’s wort contains several groups of substances identified and quantified according to modern scientific anayltical methods. The naphthodianthrones hypericin and pseudo hypericyn are characteristics substances of pharmacological interest. Other important constituents are flavonoids, hyperforins along with essential oil, carotenoids and proanthocyanidins. Extract of Sta. John’s wort is generally well tolerated. Side-effects are rare when the standardised extract is taken. In excepcional cases gastro-intestinal irritations and photosensitisation in fair-skinned people my occur. St. John’s wort extract is generally well tolerated. Side-effects are rare when the standardised extract is taken. In excepcional cases gastric -intestinal irritations and photosensitization in fair-skinned people may occur. It does no have a sedative effect and can be recommended without restrictions for patients who are working and require full concentration for driving and for operation machines. It is not assistive and its effect is not increased by alcohol. 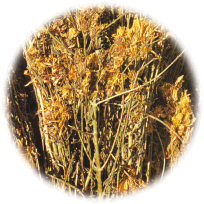 St. John’s wort extract is notable for its particularly high level of clinical safety. 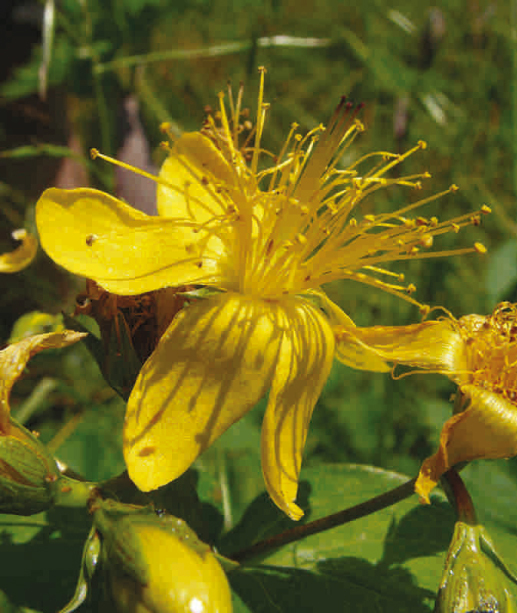 To-date acute cases of St. John’s wort extract poisoning have not been reported.